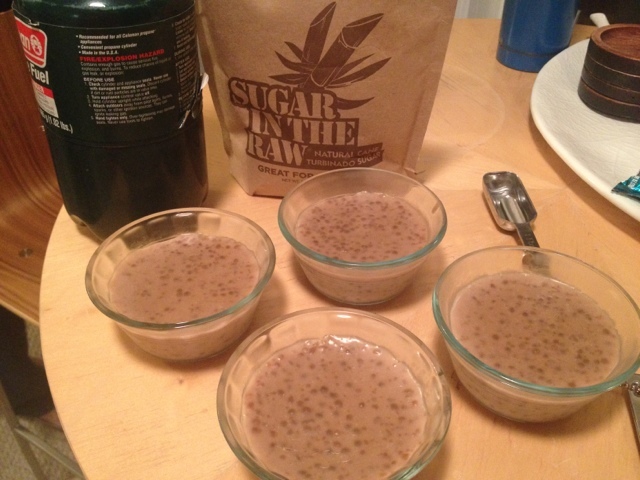 So I was in the mood for something sweet the other night, and wanted to do something a little healthy....so I thought, Tapioca...and coconut! I was reading some coconut tapioca recipes on the internet, and most of them were vegan (no eggs) so I thought I would give that a try. 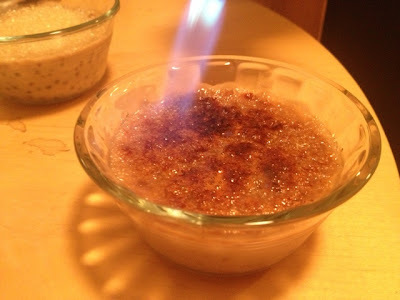 I never made egg-less tapioca before, but turns out, I like it! Maybe more than the traditional way. First put your water, chai and tapioca into a pan and bring to a boil then turn down to a low simmer. Keep your mixture moving, stir often. 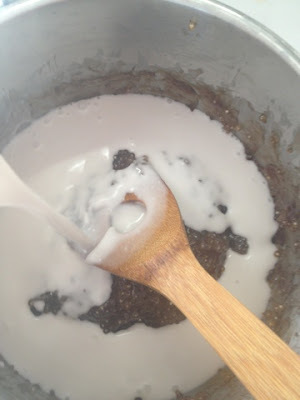 You want to cook your mixture until the tapioca balls are all clear. This will take about 30 minutes. If your mixture gets too thick, go ahead and add a little water to keep it moving. Once all your tapioca balls are clear, whisk in your coconut milk, add your sugar and pinch of salt. stir it all together and bring it up to a quick simmer. Continue to cook until it thickens (about 5 minutes). 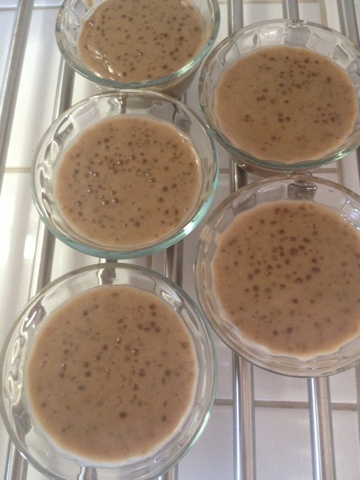 Remove from heat and pour into ramekins, mugs, cups, bowls, etc. Let it cool for about 10 minutes and then place in the fridge to chill. 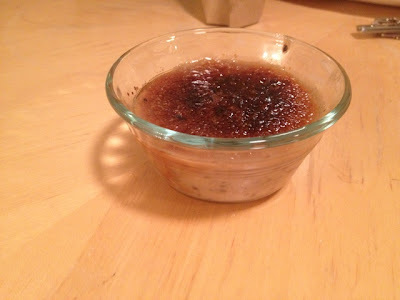 Once chilled, remove from the refrigerator, sprinkle with about 1/2 teaspoon turbinado sugar each and using a torch, flame the sugar until it just melts. (You want to keep your flame moving around so it doesn't burn). Hi Morgan and Tiff Tiff!